Cy-Metal.com: POTN VII: R.U.S.T. & HARDRAW join the show!! POTN VII: R.U.S.T. & HARDRAW join the show!! "Almost 1 month left and there wasn't a chance that these 2 Cypriot bands could miss this year's show! "R.U.S.T go back almost a decade since their first appearance in 2003. Since then they have released a Demo in Power of the Night II and their debut album called "Forged In the Fire of Metal" in last year's POTN festival. 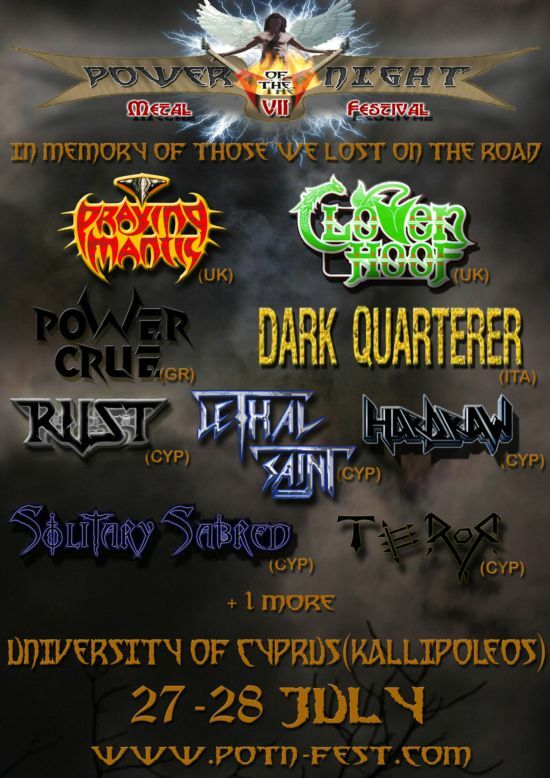 They are widely known in Cyprus due to their traditional Heavy Metal sound and their great live performances. With many dedicated fans in their side R.U.S.T. promise an outstanding show as always!" 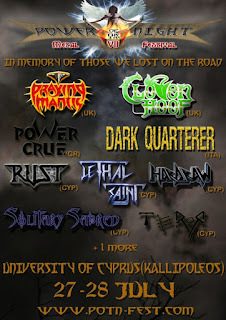 "Hardraw, this Heavy-power-epic Metal band from Cyprus was originally formed in 2005. For several years they perfomed with guest vocalists and were trying to find the right frontman to match their style until last year Faidon joined the band! With his excellent vocal skills the band was complete and together they released a promo and a 7inch vinyl. The vinyl was first released at this year's Up the Hammers festival where Hardraw perfomed live at the warm-up show. Get ready for some new material from both bands at this year's Power Of The Night festival!"